Conservation Grant Proposals Due May 1! Do you have an avian habitat conservation, acquisition, or enhancement project to fund? 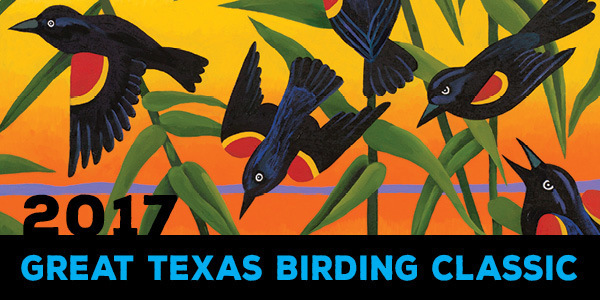 Submit your project proposal now to be eligible for potential funding from the Great Texas Birding Classic. Funds raised through this annual event fund projects throughout the state each year, with $880,500 in grants given to date! Submit your project proposal form by May 1 for consideration by this year's winning teams. Visit Conservation Grants for project criteria, proposal forms, and a list of previously funded projects. Select winning teams choose which conservation projects are funded each year, and selected projects will be announced this July. Proposal deadline is Monday, May 1, 2017! Contact Nature Tourism Manager Shelly Plante by phone (512-389-4500) or email if you have any questions about your proposal or the Birding Classic.